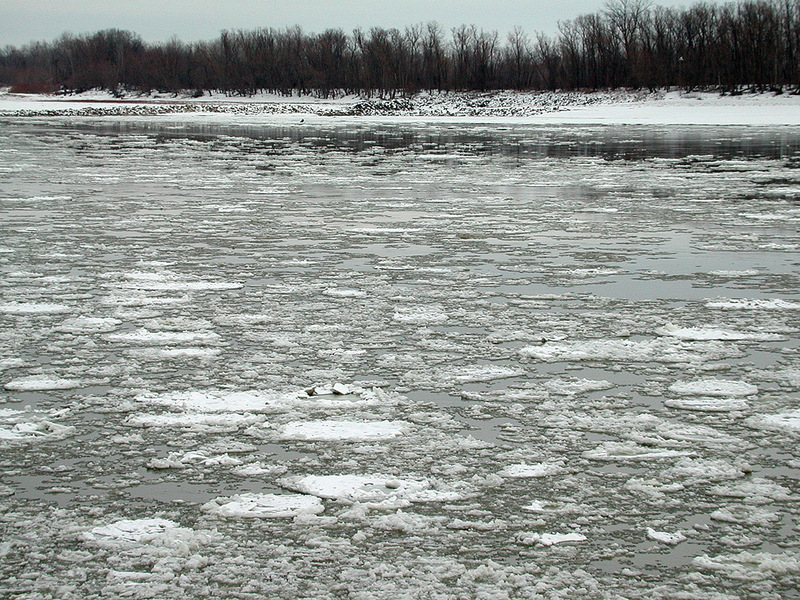 I see in the news that not only is the river so low that it’s hampering barge traffic, but now it’s clogged with ice. Wonder if it is any worse than when I shot this December 27, 2000? People used to walk across the frozen river. My blog yesterday has links to these photos as well as the Blizzard of 1979. We were still living in Cape when the river completely was iced over from Cairo to Cape. I think it was in the 1970s. You couldn’t walk over it as it was more of a 30 mile ice jam! I can remember the start of the blizzard of 79, was trying to walk home in it from Walgreens that was down the street. As I recall it came up fast. walking to was easy, walking back was another story. I also seem to recall it prompting double duty from the cities garbage trucks in later years as snow plows, since they did not need to have full time trucks rigged for snow. Ice, remember sometime in the 70s the river was shut down because of it. Nothing was moving. But don’t remember the year. Well…my Dad and I will check this out this afternoon! In Cape for a couple of more days…nice white Christmas here! Previous PostPrevious Hanover Skating Rink?